TE Archive - Noiseworks - Reach out and touch . . .
Home : Articles : 1999 : June : 9 : Reach out and touch . . .
Reach out and touch . 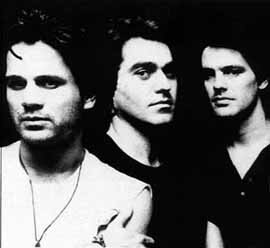 . .
NOISEWORKS is playing at the Newcastle Workers Club tomorrow night and that's 'NO LIES'. The three original band members will perform hits such as TAKE ME BACK, LOVE SOMEBODY, IN MY YOUTH, MILES AND MILES and HOT CHILLI WOMAN. The band's national tour may be the first in seven years but lead singer JON STEVENS said the practice sessions for NOISEWORKS II had felt like the band had not been away at all. 'After not playing these songs for seven years it's really refreshing for everybody and we're all really excited to be playing again,' he said. Stevens said the band would 'probably' record new songs for a NOISEWORKS II album. 'What the band does after this, whether is stays a living and breathing entity, I don't know,' Stevens said. Tickets to the concert are available at the club or by phonecharge on 4929-7555.